Grace had a sheet over her cage and her name on the euthanasia list at the local shelter a few years ago when they called us to rescue her. 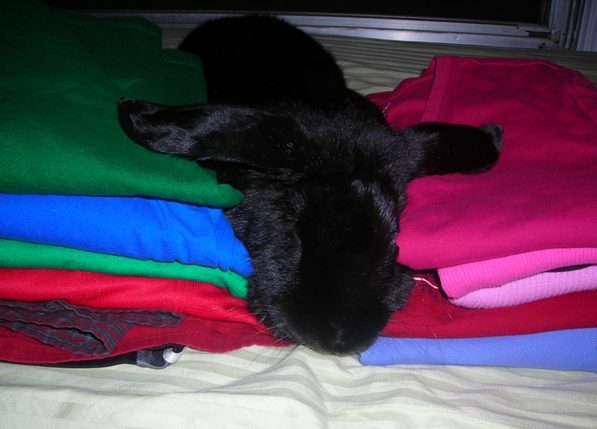 We did, and she proved to be one of the most unique rabbits in foster care. 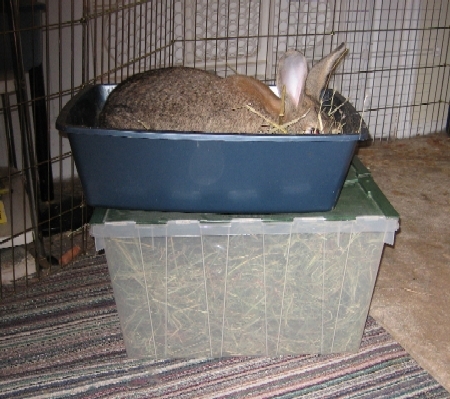 Grace would let herself in and out of her crate, which sat high on a shelf, and then jump on top of it and all the other foster crates, tormenting the rabbits below. She would clear a 36″ fence repeatedly to come find someone to pet her. She was known to lunge at hands and bite when she got there, but those who spoke her language never had a problem. If you walked anywhere, she’d run between your legs and jump on your feet to be with you. We called her “crackhead” most of the time. 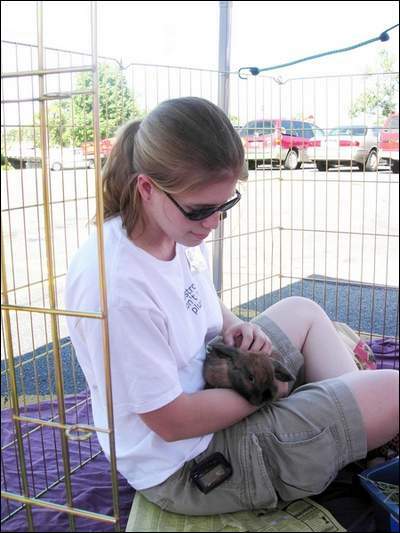 Grace just wanted to be petted all day and have lots of room to do her big 10-pound-lop binkies. Got this quiz from KNH. I’m not as geeky as she is, but that’s no surprise. We are both geeky enough that we modified the html they provided for the result graphic! I also took the cadaver quiz. I was sent a link to a Fish Empathy Quilt. 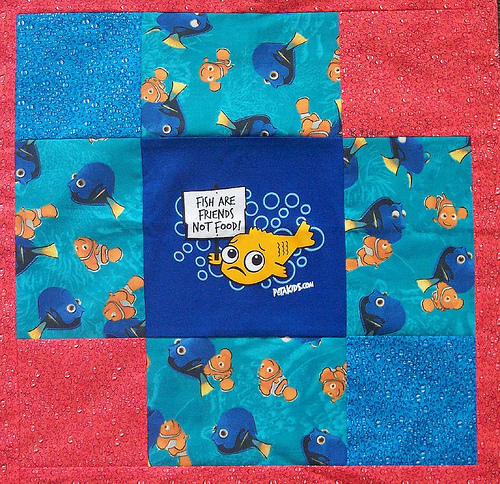 Since Mom is into quilting and KNH is into fish, I’m sharing! Yes, this is a crazy Peta project, so don’t click if you are bothered by that sort of thing. It’s not really that terrible, and nothing has been as bad as the crown lengthening surgery, but the throbbing after yesterday’s appointment feels similar to the healing process after the surgery. David can attest to my crankiness yesterday from the pain and then how much nicer I was once the next dose of ibuprofen kicked in. I should start receiving the final teeth in about a month. My neighborhood had a garage sale this weekend. 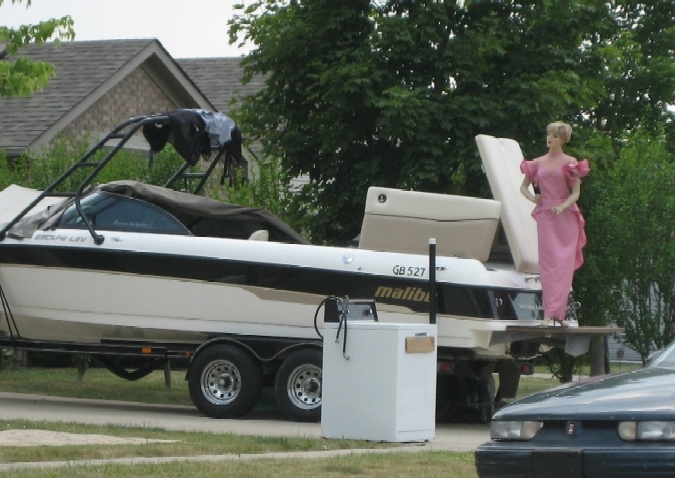 I quit early, having sold all my good junk, but upon driving through the neighborhood while others were still selling their junk, one house had a lovely mannequin lady in a pink dress standing on the rear board of this motor boat (also for sale). I have driven past the house many times and she watches me from inside the garage when their door is open, but Saturday they let her out for some fresh air. Alas, I don’t know how much she was. Many of you know how much I love coupons. I don’t let them run my life, but I often have one handy! Yesterday I saw a “cheap” diesel price ($2.69) at a Speedway I rarely frequent. I also have monthly dollar-off coupons from my Entertainment Book to be used at Speedway. I should point out I haven’t used any in the book so far this year because they’re such a pain and so is Speedway. I go get the cashier and she comes out, banging on the pump repeatedly while having me try the whole process over again. She says the pumps are old and have problems, so she ends up sending me to Pump 1 after smacking Pump 2 didn’t help. As I’m pumping successfully at Pump 1, another guy in another pickup truck at Pump 3 comes over and starts a conversation about how he’s never seen a diesel in that kind of car, etc… I finish talking to him about mileage and he leaves, but then a bum walks up and asks for fifty cents to get a White Castle (next door). After telling him I didn’t have any cash, for some reason I go on to say those things are bad for you and you shouldn’t eat them, which was probably ridiculous. He pointed out he could get a burger for fifty cents there and I allowed as how that was a good deal. Then I decided I’d give him some change since I figured he needed the money more than I did and he went on to tell me about his various ailments that kept him from working. Meanwhile I notice some guys in ANOTHER pickup at Pump 2, and I let them know that the diesel isn’t working, so they decide to wait for me to finish. I go inside and the cashier demands a Speedy Rewards card, which I don’t have, so she asks the person behind me in line (no) and the person behind her (yes), and she scans the stranger’s card. I thought maybe I needed the card to use the coupon but she said it was for the five cent discount on the gas. Then I get a polite lecture on the virtues of the Speedy Rewards card and how I could have earned 111 points. I got talking to the lady who provided the card and she was happy to have my points. I thought I was happy to have a discount but later determined it doesn’t apply to diesel, which is probably why I never got a card in the first place. I get back outside and the other diesel guys are already pumping buckets of diesel (literally) next to my car. One of them asks if my XM unit is a navigation system or satellite radio, so I tell him, and then I hear all about his new something-or-other system in his car. I didn’t really pay attention. I drove away thinking I had just spoken to more people at one fuel stop than I often see at my desk at work in a day. My net profit: 25¢ after my $1 coupon and giving the bum 75¢. For a frugal introvert, it wasn’t worth it. I had to interact with an awful lot of strangers for a quarter. And this is why I always use pay-at-the-pump, folks. I’m in the paper again, and for the usual topic. The writer misquoted me a bit but it’s not too bad. 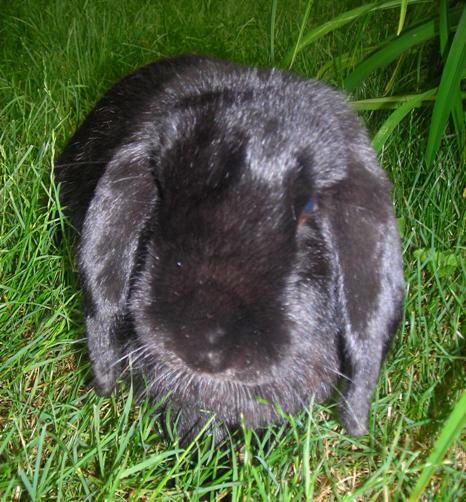 They even published my picture, but they took close ups of the bunny that would have been better. his foundation has given $8 million in grants to law schools to push along the field of animal law and of course, who can forget the way he’s ended his show every day for years on end: “Help control the pet population. 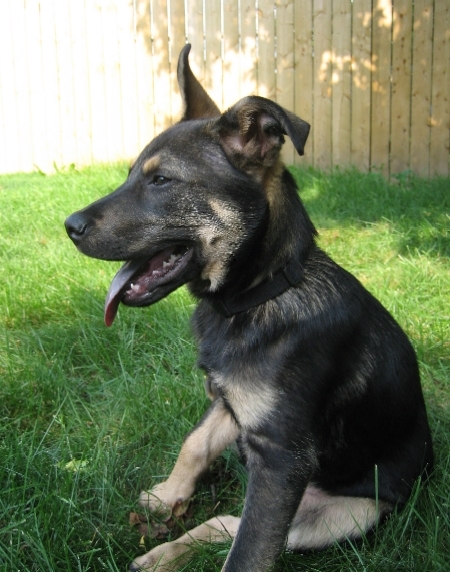 Have your pet spayed or neutered.” He is the guardian of one dog and two rabbits—all rescues, of course—and his backyard has long been a safe haven for wildlife. He is also a long-time vegetarian, and the folks in our Communications department report that he’s doing surprisingly well in the World’s Sexiest Vegetarian Celebrity contest . . . He was always busy working behind the scenes as well. 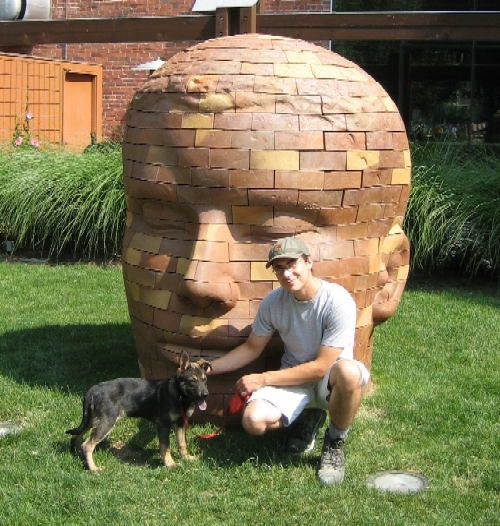 While I was researching this entry, I ran across this Forbes article that explains how Barker was able to influence the show’s prizes and advertising over the years. Because he is a vegetarian, they don’t advertise meat products on the show, and at his request, they also stopped giving away fur coats as prizes. 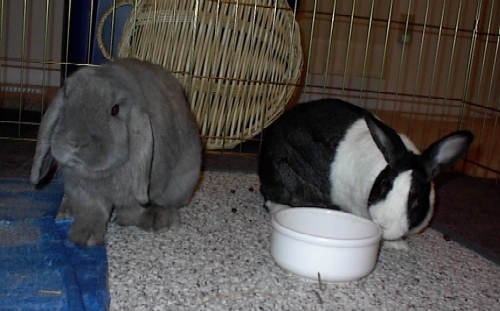 Felix and his pal Honey were my first foster bunnies several years ago, and recently were in another foster home. Felix passed away unexpectedly last week. Poor Honey is ten and lonely! 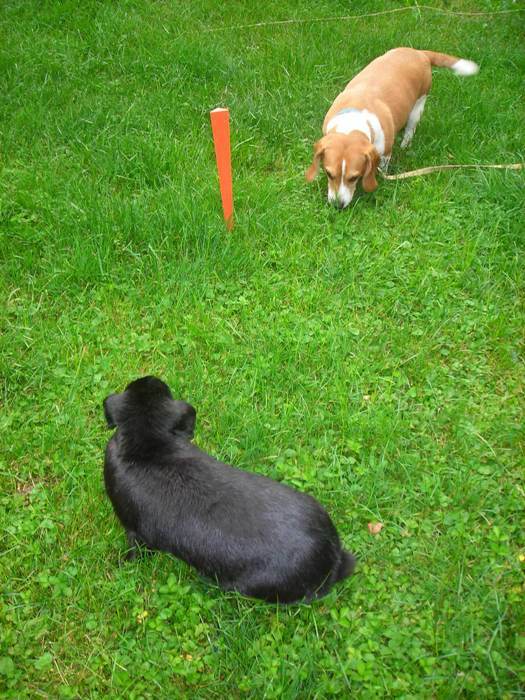 Then this weekend, Reggie, who oddly looked just like Felix, died too. I found him unwilling to eat early on Saturday. He has had a long-term respiratory infection which finally got the best of him after more vet intervention over the weekend. I feel very guilty about not doing more for him sooner, and yet we didn’t really know what to do after inconclusive tests several months ago. 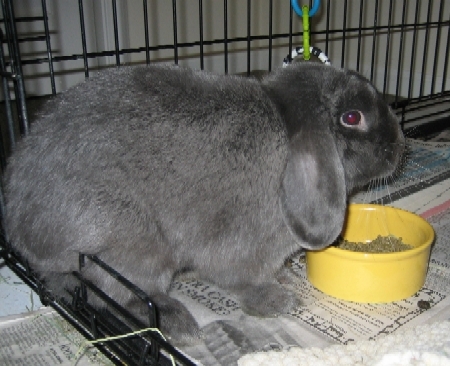 I’m angry that his former owners, who got him at a pet store and then “couldn’t care for him anymore,” dumped him at the shelter, saying that he had bitten once after “falling in cold water.” Well, this rabbit had a nasty respiratory infection and was also very cranky, and I don’t blame him. Why was a rabbit in cold water in December? What is wrong with people? Reggie holds the distinction of being the only rabbit to have bitten my dog. He mellowed over time and we came to an understanding. He really enjoyed playtime and was very excited at feeding time, even allowing me to pet and groom him while he dined. He was only a year and a half old when he died, and that’s just a shame. I miss how he always ran to greet me, hoping for a snack.